1. One of various plants, supposed to have efficacy in driving away fleas. They belong, for the most part, to the genera Conyza, Erigeron, and Pulicaria. 2. 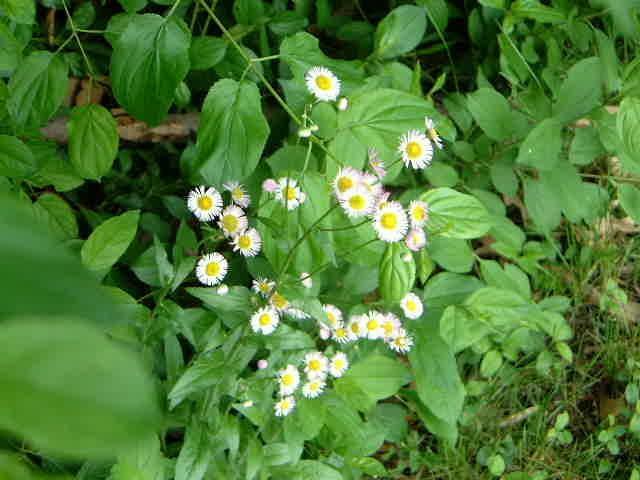 Any of several North American plants of the genus Erigeron having daisylike flowers; formerly believed to repel fleas. MUST NOT BE USED BY CHILDREN, BY WEAK INDIVIDUALS or PERSONS IN ADVANCED AGE. Drink 1 cup, on an empty stomach, of the brew made from 60 to 80 grams of Simonillo leaves to 1 Liter of water, in case nausea develops, reduce the dose. To remove the strong bitter after taste of the plant: Take a little honey with lemon juice or eat a little piece of sugar loaf.